After the excitement of the US Open Cup Final in midweek, it’s back to business with week 28 of the Major League Soccer season. 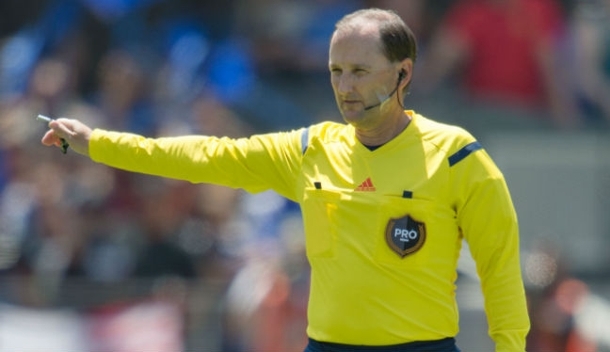 Chicago Fire and D.C. United will get things under way on Friday night, with Kevin Stott refereeing the match-up at Toyota Park. On Saturday, seven games take place and CenturyLink Field is the first destination. Seattle Sounders host Vancouver Whitecaps at 4pm ET, and Jair Marrufo – who refereed at the Copa America earlier this year – is in charge of proceedings. Chris Penso recently told PROreferees.com about the craziest few days of his life, but it’s business as usual for the MLS All-Star referee when he officiates Portland Timbers versus Philadelphia Union at 6pm ET. An hour later, MLS Referee of the Year Alan Kelly takes the whistle at Yankee Stadium where New York City – second in the Eastern Conference – host Western Conference leaders FC Dallas, fresh off their US Open Cup victory over New England Revolution. The Revolution are in action later that evening and Kyle Atkins – the reserve AR for Tuesday’s showpiece – will be running the line as they go on the road to Montreal Impact. Sean Hurd was also on Open Cup duty in Frisco, and he’s the AR1 for Orlando City versus Columbus Crew. Armando Villarreal gets his 11th assignment of the season when Colorado Rapids do battle with San Jose Earthquakes at 9pm ET, while Saturday’s final game sees Real Salt Lake and Houston Dynamo go head-to-head – Silviu Petrescu is in charge. Ricardo Salazar and Robert Sibiga are the two men assigned to Sunday’s double-header. Salazar will officiate Sporting Kansas City versus Los Angeles Galaxy, before Robert Sibiga takes his 16th assignment of the season when Toronto FC face New York Red Bulls.